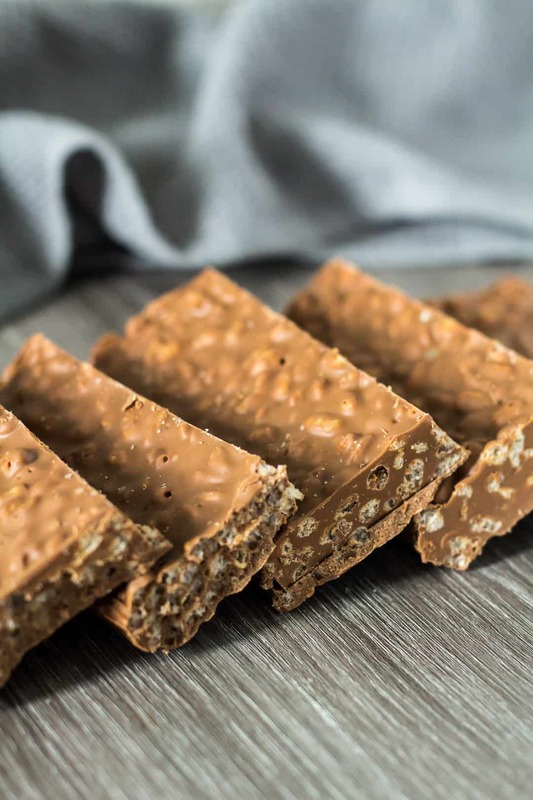 Chocolate Crunch Bars – A deliciously creamy layer of milk chocolate loaded with crispy rice cereal. A 2-ingredient treat you’ll want to make time and time again! Today, I bring you the most easiest, delicious no-bake recipe that you won’t be able to stop eating (well, I can’t stop anyway…). 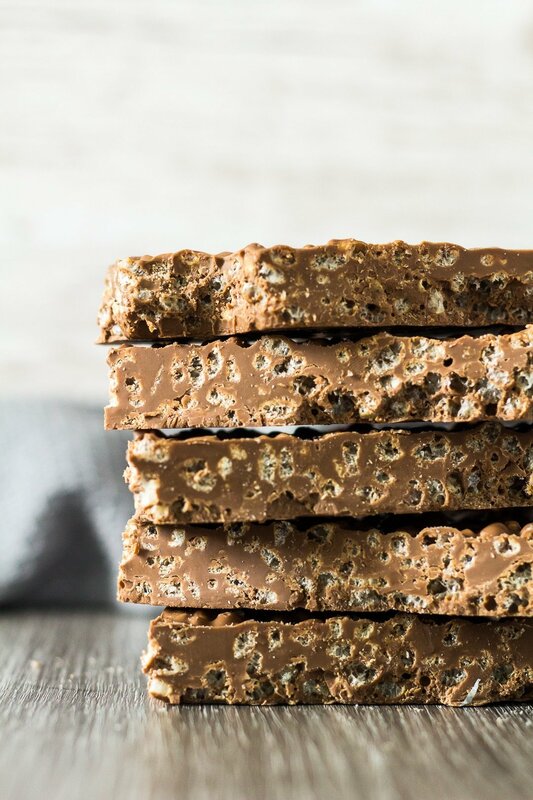 These Chocolate Crunch Bars consists of only two ingredients and will take about 10 minutes of your time to throw together. They are so quick and easy! Break the chocolate into pieces (you can use milk, dark, or semi-sweet chocolate) and add to a microwave-safe bowl. Heat the chocolate in 30 second intervals until melted and smooth. Make sure to stir after each interval. Add the Rice Krispies and fold in until fully coated in chocolate. Pour the mixture into a square baking pan lined with parchment or foil, and spread out evenly. Refrigerate until completely set – about 1 to 2 hours. Once set, cut up into bars. 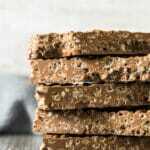 This recipe will make 8 long bars (as pictured) or 16 square bars. These homemade crunch bars are perfect for sharing and gift-giving! the perfect ratio of chocolate to Rice Krispies! 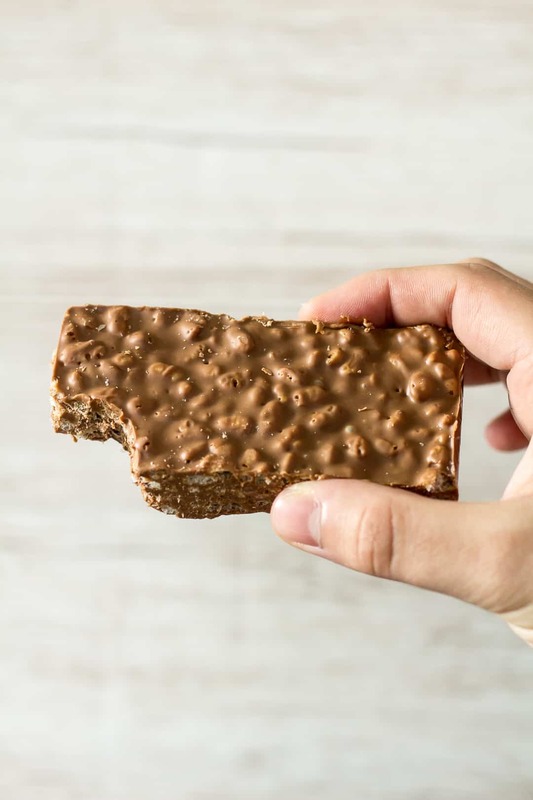 If you’re making these chocolate crunch bars for a large crowd, I would double the recipe, and use a 9×13-inch baking pan. More to share! Try these no-bake treats next! 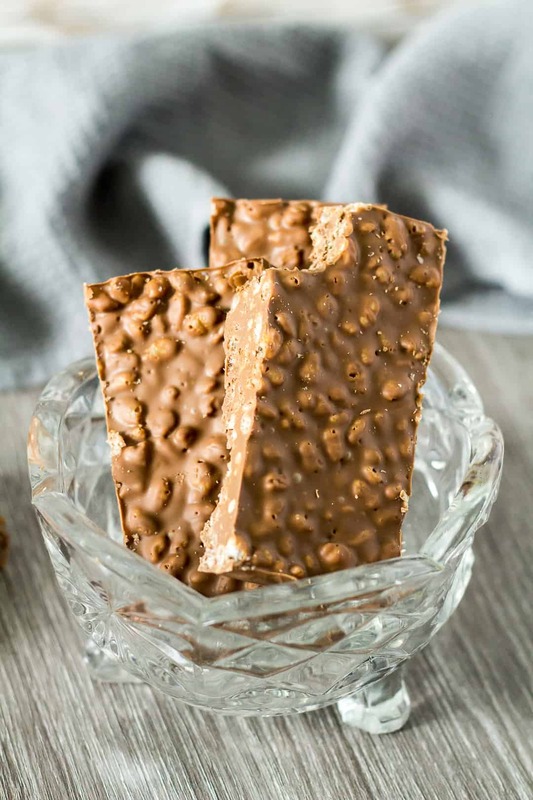 A deliciously creamy layer of milk chocolate loaded with crispy rice cereal. A 2-ingredient treat you'll want to make time and time again! Add the chocolate to a microwave-safe bowl, and heat in 30 second intervals, stirring after each one, until melted and smooth. Add the Rice Krispies, and fold in until completely coated in chocolate. Pour into the prepared pan and spread out evenly. Refrigerate for 1 - 2 hours until set. Slice into bars and serve cold or at room temperature. These bars can be stored in an airtight container at room temperature or in the fridge for up to 3 weeks. They also freeze well for up to 2 months. Thaw overnight in the fridge before serving. I cut my bars into 8 long bars for the photos, which would be 370 calories each. Haha seriously, I can never stop eating crunch bars either! THese treats looks absolutely fantastic Marsha!